Washington DC – The Vatican released an official assessment on global economics entitled, “‘Oeconomicae et pecuniariae quaestiones” or “Considerations for an ethical discernment regarding some aspects of the present economic-financial system.” The document calls for improvements in global finance policies on debt resolution, taxation, financial crisis prevention and transparency. “The recent financial crisis might have provided the occasion to develop a new economy, more attentive to ethical principles, and a new regulation of financial activities that would neutralise predatory and speculative tendencies and acknowledge the value of the actual economy,” reads the Vatican statement. “Although there have been many positive efforts at various levels which should be recognized and appreciated, there does not seem to be any inclination to rethink the obsolete criteria that continue to govern the world. On the contrary, the response seems at times like a return to the heights of myopic egoism, limited by an inadequate framework that, excluding the common good, also excludes from its horizons the concern to create and spread wealth, and to eliminate the inequality so pronounced today,” continues the Vatican assessment. 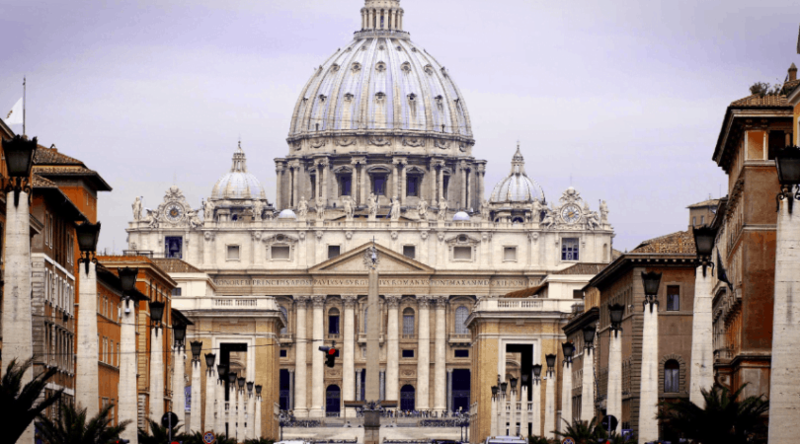 The Vatican takes on a number of financial issues in their 15-page release including tax havens, debt relief, interest rates and risky market behavior. The document was authored jointly by the Congregation for the Doctrine of the Faith and the Dicastery for Promoting Integral Human Development.